by Joan Cusack Handler, Ph.D.
My mother was the first of my parents to die; that was twelve years ago. I had little time to grieve her because my sister and I immediately set about tending to our father as he tended to himself—cooking, baking bread, vacuuming the living room-- and dealt with her loss. Several years passed and a fall in his bedroom sidelined him from most of the things he most valued in life—going to Mass, reading his prayer books, ‘baking the bread’. The second fall broke his hip. It happened in my home in East Hampton. My sister and I and even our estranged brothers were devastated. His loss left a huge hole in my life and my heart. I adored him as did everyone who knew him. I loved talking to him, listening to him—his stories, his wisdom, his wise cracks; I loved making soup for him. His loss was huge, my grief relentless--far reaching and spread over my whole life and family. I became depressed and terrified. Loss became synonymous with terror. I was obsessed with death—his first, then my own. My life diminished to a thin slip of days --the loss far more than the loss of my father. It signaled for me the imminence of my own death. I felt stripped, stalked. My days became very dark and one slid into another without notice. Weeks went by, months, years. I felt alone in a way that I had never felt before. Though I had fancied myself independent of my parents for over 50 years, I felt abandoned by my father. How could I live this life without him? Eventually I picked it up, opened it and wrote-- for a few minutes. Weeks, months later, I’d return for a slightly longer time. Twenty minutes. Never more than an hour. I filled one notebook and started another. I made poems of these entries. The poems became the body of the final 20 pages of Orphans. My death terror was finally in writing. 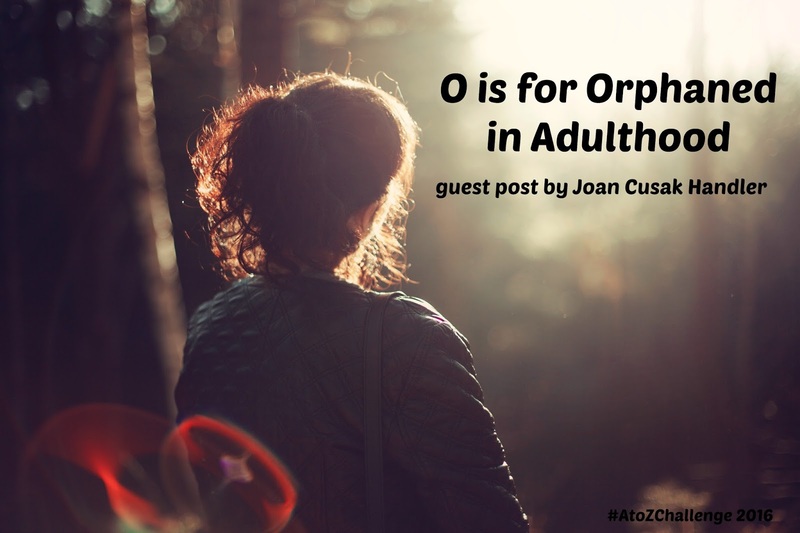 Joan Cusack Handler is a poet, clinical psychologist, and the founder of CavanKerry Press. Her poems have been widely published, and have received five Pushcart nominations as well as an award from The Boston Review. Joan has published two poetry collections (Glorious and The Red Canoe: Love in Its Making) and a prose memoir (Confessions of Joan the Tall). 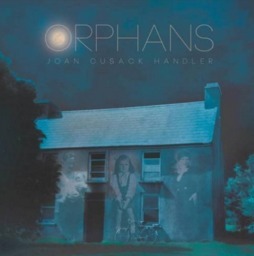 Her fourth book on sale now, ORPHANS, also a verse memoir, recounts the stories of her colorful Irish parents and her complicated relationship with them. 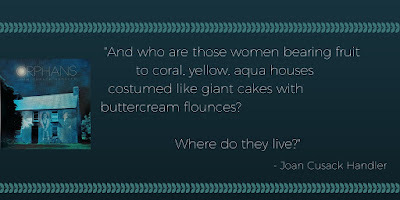 A Bronx native, Joan now lives with her husband, a fellow psychologist, in New Jersey and East Hampton. 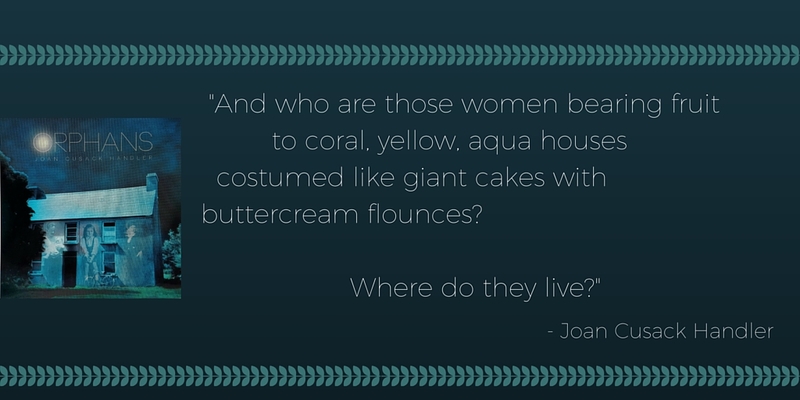 Very interesting revelations by your guest writer, Joan! Only a psychologist can make it this interesting. Thanks for sharing Donna! No one really thinks about that aspect of being alone I suppose. Interesting take on it. Our journey is full of obstacles; the realization of our 'aloneness' can be a difficult one. Though provoking post. 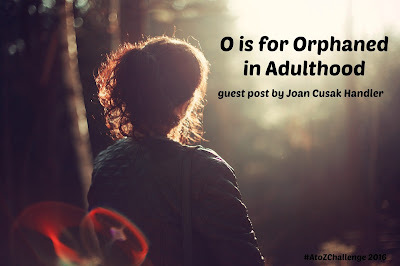 At the end, all adults are bound by this common state of being 'orphans'. It makes me think of the saying: you are born alone and you will die alone. My brother had been in a car accident at the age of 23. He fell into a coma and died two years later. I was devastated. He was my role model. He helped my parents raise me. He was 11 years older than me. This opened my eyes to death and suffering at an early age. My parents died a few years ago when I was in my fifties. I didn't go through the extreme emotional pain like I had before. I did feel the orphan feeling, only because I have no siblings. What I'm trying to say is that we could go through this at any age. Some of us sooner than later. Powerful and thoght provoking article! Excellent article and something that I have given a lot of thought to. My dad died 3 years ago and n=my mom is 91. When she dies, I will be the oldest one left in our family and have thought about how it will feel. Thanks for the insights. Insightful and provocative. I had to share. Rough subject and hard to read. Makes me sad.